Below is a list that we have collated to try and help answer this question. 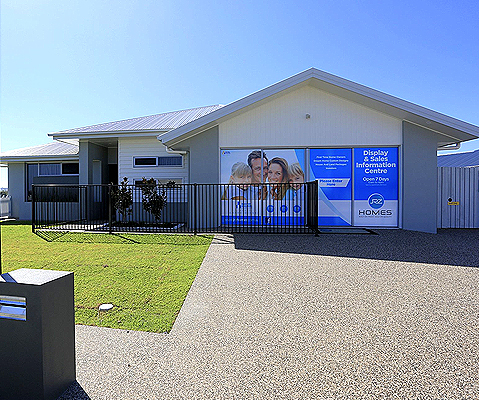 Honeybee Court is a JRZ Homes development which is now available for sale, it is located on the corner of McCarthy St and Chards Rd in the popular Avenell Heights suburb. Rarely does land come available in an already built up residential area. It is close to the town centre, shopping centres and schools, there is a bus stop just over the road and the east coast is only 10 minutes drive down the road. The Covenants are quite strong in this estate to protect your investment into the future. Housing Construction has now begun, secure your land now and work with our team to design and price your dream home in the meantime. JRZ Homes have some wonderful House and Land packages available, enquire today with our Building Consultant to learn more. Belle Eden is located on the Eastern side of the ring-road between FE Walker Street and Elliott Heads Road. This Master Planned Estate is very popular with blocks ranging in size from 730 sq/m up to 850 sq/m. All blocks are fully serviced and designed in a way that has minimised easements, which helps with less building constraints. We are a Builder of choice in this estate with a number of builds completed and more under-way currently. Land starts at $155,500, so to learn more please click on the following link. Parklands Grange Estate is located about 6 mins from Sugarland Shopping Town, with access via the Ring Road and Childers Road. The second stage has just been listed for sale with the first stage a big success. Small acreage Land 6 minutes to town has proved popular for families and couples a like who are wanting something a little more room to move but still have easy access to everything our growing city has to offer. Block sizes start at 2000m2 and go up to 3000m2. All blocks come with town water, a bitumen 4.5m wide driveway to the boundary and are NBN Ready (one of the few estates). This estate does require Septic Systems to be installed and these can range in price but generally are about $13,000.00 inc GST. We are a Builder of choice in this estate with a number of builds completed and more under-way currently. The habitat is the new riverside hideaway. Found in the lush Branyan area of Bundaberg, The Habitat is designed for you to escape the suburban lifestyle for the leafier outer suburbs. This is a haven where people will find room to breathe and be free. It is a sanctuary for families to live, grow and explore. A place to get outside and run under the sun, feel the grass beneath your feet and play under the dappled shade of green trees. The habitat is where nature is as much a part of your lifestyle as your home. With new local cafes, a collection of speciality shops and a new childcare adventure playground this makes The Habitat an ideal location for families. Bargara Rise Estate Stage 1 is located off Watsons Rd, opposite Hughes Rd (Council Community Centre) in the popular Seaside town of Bargara. This estate is being developed by a local family keen to develop a High End Bargara product. The covenants with-in the Estate are to a high standard expected of an Estate of this Calibre. Stage 1 and 2 have now been released and are selling fast, large, flat, easement free blocks this coast to the coast don’t last long. Land sizes vary from 774 sq/m up to 1024 sq/m, all blocks offer a good aspect with relation to the hot summer sun. Majority of blocks are rectangular shaped leaving plenty of options with Building plans. All blocks are full serviced, with very little easements (not restricting sheds etc) with pricing ranging from $154,000 up to $176,000, there are very few now left. JRZ Homes have some wonderful Home and land packages available, please talk to our Experienced Building Consultant to learn more. Bargara Beach Estate Stage 1 is located off Moodies Road in the popular Seaside town of Bargara. With limited supply of land with-in walking distance to the beach, this Estate is proving popular. The covenants with-in the Estate are quite strong protecting your investment for the future. Land sizes vary from 600 sq/m up to 1124 sq/m with all blocks being full serviced, with pricing ranging from $144,000 up to $169,000 we can’t see these being on the market for too long. This beautiful Estate is priced to sell with blocks starting from just $145, 000, located in Hamptons Estate, Burnett Heads newest and only ocean front residential estate located just 15 minutes from Bundaberg. Hamptons will allow you and the family to immerse in the many activities living on the water’s edge provides – swimming, surfing, snorkeling, boating, fishing or simply strolling along the ocean forefront. This location offers the turtle trail right at your door step, the turtle trail is a 6.37km coastal pathway for cyclists and walkers starting at Oakes Beach, running through the Mon Repos Conservation Park and finishing at Nielson Park Bargara. Gooburrum Grange offers a spectacular rural lifestyle. Situated only minutes north from the Bundaberg CBD, these acreage blocks offer a transition from the city life to a tranquil sanctuary that captivates rural living. The property was originally used for agricultural purposes, but hasn’t been farmed for over 20 years, so the rich alluvial soils lend themselves to the proficient gardener to grow your own veggies or establish some fruit trees allowing you to be organise and enjoy a small degree of self-sufficiency. Imagine fresh eggs every morning, with your own herbs to flavour. The estates covenant protects your investment and ensures the surrounds are kept to a satisfactory standard. Other Estates in the great Bundaberg region don’t even come close in comparison to the facilities that Gooburrum Grange has to offer. Located adjacent to Tantitha Lagoon and one of Bundabergs oldest surviving homesteads, Tantitha Rise captures the ideal rural residential lifestyle whilst only 8mins to the Bundaberg CBD. Stage One of this prestigious development will comprise 30 acreage lots with a minimum size of 4000m2 and wide frontages. All lots include services such as town water, electricity & NBN. Stage one also features 9 lots which directly adjoin the Tantitha Lagoon ensuring a beautiful outlook from your dream home. If you are looking for a level small acreage block with town water on the city fringe ready for you to design and build your new family home, Black Beauty Estate is the answer. We have collated a list of available blocks of land below which have come back onto the market, this list is constantly updated and you are more than welcome to discuss the block of land with JRZ Homes Representatives. We encourage anyone wishing to purchase a block of land to speak to an Experienced Builder and complete all due-diligence prior to purchasing. This is a service we offer Free of Charge. Other Land Estates and Developments in and around Bundaberg are Edenbrook Estate (Norville), Coral Waters Estate (Innes Park), Turtle Heights Estate (Burnett Heads,) Burnett Shores Estate (Burnett Heads), Coral Cove Estate (Coral Cove) and Hummock Ridge Estate (Qunaba). We often have smaller Development of sites not listed here so best to drop into our Display Home for the absolute latest information on LAND FOR SALE in the Bundaberg Region.